The mountains of Arizona have three main growing seasons. So, as the nights of Autumn become cooler we change our local vegetable gardens from fruiting tomatoes and squash to kale, broccoli, chives, and lettuce. Now through the end of the year is when the best-flavored leafy vegetables are harvested. As deciduous plants start dropping their leaves it’s time to start planting some gorgeous winter plants and winter-blooming vegetables. No vegetable garden is complete without lettuce. 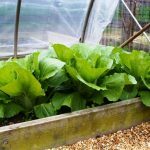 It’s so easy to grow lettuce tucked around plants, using it as edging and filling containers. Forget the round heads of iceberg and uniform stacked hearts of romaine from the grocery store. These are crispy, but the varieties grown in your own backyard are far healthier to serve at your table. 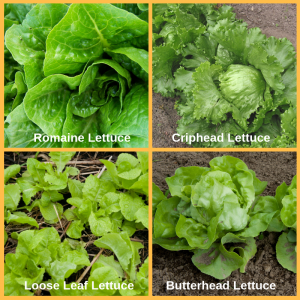 Lettuce is as varied as any of the spring greens and so much fun to “play” within the landscape! You can find lettuce starts from garden centers and farmers’ markets, but seeds are the best way to go. 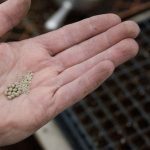 Conveniently, and a real time-saver, lettuce seeds may be sown directly into the garden. Just Published! 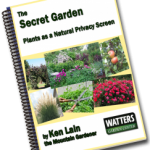 The Secret Garden: Plants as a Natural Screen is a book for local gardeners with details about screening plants. Free copies are available for download at WattersGardenCenter.com under ‘LEARN’. Until the next issue, I’ll be on hand at the garden center helping local gardeners plan their winter gardens.